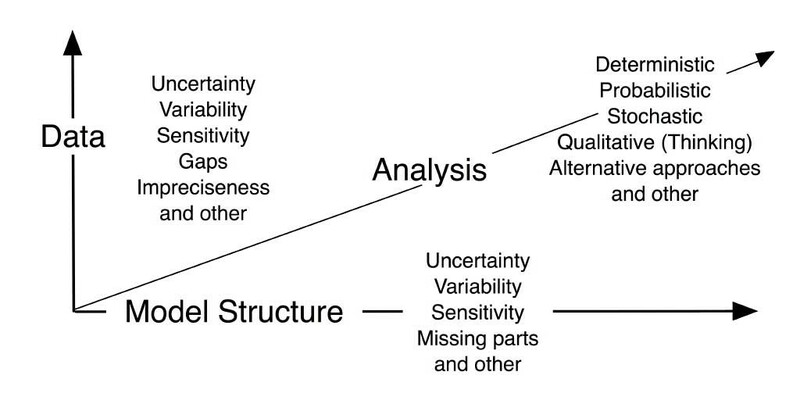 Knowledge-uncertainty is typically not characterized by the fact that it can be easily disposed of once and for all by using a quantitative model or an analyst’s qualitative thinking process. However, a thorough analysis can possibly quantify or reduce such uncertainty. Possible ways to perform such an analysis are performing a thorough evaluation and collecting and processing data, as well as developing and implementing scenario-based model calculations that consider a large diversity spectrum in the model structure. We deal with a variety of issues and want to overcome dividing lines of scientific disciplines. Our priority areas are determined by all our services, especially those for risk analysis, environmental impact, technology assessment, biogeochemical cycles (material flow), feasibility studies, data management and decision theory consultancy.